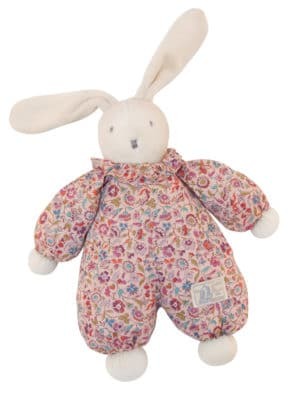 Such a fun little comforter! 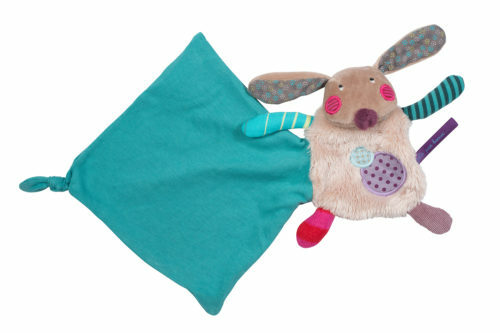 The soft and colourful rabbit is hiding a surprise comforter square in his tummy. 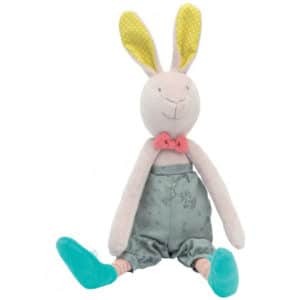 Moulin Roty’s Les Jolis pas Beaux range is well known for it’s quirky styling and colourful characters. 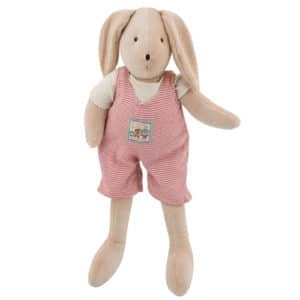 The body of the mouchoir rabbit comforter is made from soft plush fur, rabbit has a corduroy head and cotton poplin lined ears. 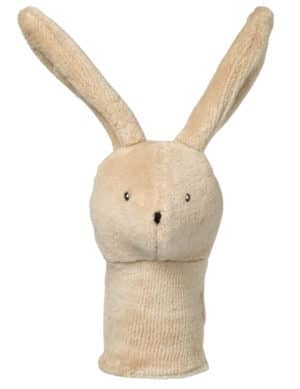 He is adorned with appliques of cotton fabric. The tuck away comforter is a soft jersey.